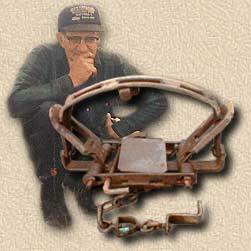 This page is dedicated to giving new trappers and old ones alike, an opportunity to read articles from the past written by my father, Charles Dobbins. There is a whole generation of trappers who haven’t read these articles that can benefit from the words of wisdom passed on through them. They were published in The Trapper, Fur-Fish-Game and other trapping magazines. We feel that the information he passed on over a decade ago contains information still valuable to the trappers today. The articles published here will be changed periodically, so check back frequently.